While much of our previous posts has been on giving you tips on how you can shop online from US stores like eBay, one of the major subjects that popped-up was the issue of credit cards, debit cards and prepaid debit cards. What are all these? What is the difference between the two? I’m sure these are the questions lingering in your mind but I hope to explain them comprehensively in this post so keep on reading. PS. If you want to be notified once I post useful articles like this on email, all you have to do is just subscribe to our newsletter here. Before we dive into Prepaid Debit Cards and how you can get and use one, let’s first cover the basics. What’s the difference between a Credit Card, a Debit Card (ATM Card) and a Prepaid Debit Card? Many Kenyans use debit, credit and prepaid debit cards interchangeably to purchase goods and services. However, you should be aware that these three types of cards are quite different and that each card works differently. If you use a credit card, you are borrowing money that you must pay back, in addition to interest, if you do not pay the balance in full by the due date. Like the name suggests “Credit” a.k.a Loan or in Swahili “Deni”. 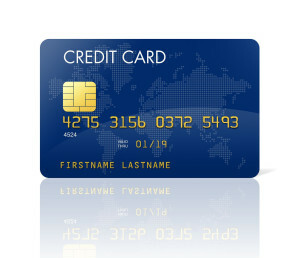 But, if you use a debit card (ATM Card), which is issued by your bank and linked to your checking or savings account (when you open a personal account in the bank, it’s normally called a checking account, technically), the money taken from the account is yours and you will never incur interest charges. With prepaid cards, you are spending the money deposited onto them, and they usually aren’t linked to your checking or savings account. Prepaid products include “general-purpose reloadable” cards, which display a network brand such as MasterCard or Visa. Debit card and PrePaid Debit Card transactions will be declined if you don’t have the funds in your account or card. Similarly, a credit card issuer may decline a transaction that puts you over your credit limit unless you have explicitly agreed to pay a fee to permit over-the-limit transactions. 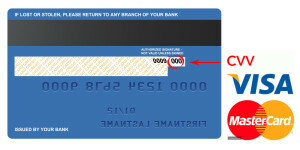 Prepaid Debit cards, sometimes, may various minimal fees incurred to use the card. These costs may include monthly fees, charges for loading funds onto the card, and fees for each transaction. The introduction of prepaid debit cards in Kenya has enabled many Kenyans to be able to conduct online purchases. To use payment platforms like PayPal or buy goods online and pay with Visa or MasterCard, one needs to have a credit card or prepaid debit card. The best thing about Prepaid Debit Card over Debit Card (ATM Card) is that you don’t need a bank account with any of the bank/service providers to own one. I will give my review based on the cards I have used. I&M bank has a variety of options when it comes to prepaid cards. The most popular one is the Safaricom M-pesa I & M Prepaid Debit Card. With all the I&M bank cards one has access to I&M online banking services dubbed “I-click”. This enables the client be able to view their transactions online, limit the amount available for use with the card and even block the card from any use. I prefer using this card as one is not affected by the crazy high foreign exchange bank rates during online purchases, although I have found I&M bank to be one of the banks that give rates close to the bureau rates. Charges are usually close to the day’s closing forex rates. If one makes online purchases there is no additional fee. Only the purchase amount is deducted from the card, which makes having this card amazing. 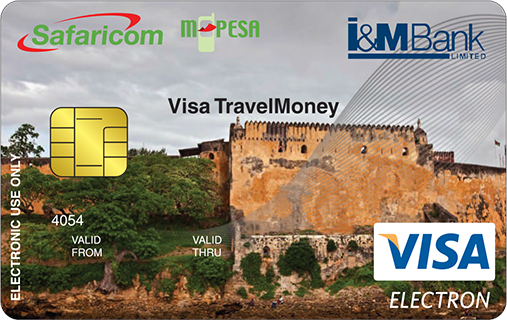 The Safaricom M-pesa I & M Prepaid Debit Card is easy to purchase and is available from I&M Bank branches and Safaricom shops, easy to reload directly from your M-pesa account (the top-up is almost instant to your card) and get refund and also easy to monitor and control through specific web-based account access. The only downside to this card is that it has a loading fee of Kshs. 140 on top, otherwise, it’s an awesome card. The KCB Visa prepaid credit card , dubbed “General Purpose Card” is another prepaid card introduced by Kenya Commercial Bank. The card is in Kenya shillings. To top up this card one needs to go to the banking hall. (:( ) With mobile banking one can be able to send funds from their KCB bank account to their card. Once this card has funds it’s quite reliable, but most of the times I get errors when I try to transfer funds from my account to the card using Mobile banking, and for every time you access the mobile banking menu you are charged, so it ends up being costly instead of helpful. In comparison between I&M bank and KCB bank prepaid credit cards, with I&M bank prepaid credit cards one gets their prepaid credit cards at the spot, one has access to online banking, one has a variety of options whether is Kenya Shillings or US dollars and my user experience is that they are reliable. With the KCB General Purpose Card, there is a waiting period of about 2 weeks before acquiring the card, one cannot access their credit card transactions through online banking (I tried so hard to get the service but my efforts bore no fruits), and the card can sometimes give you problems if you are the kind who prefers to do their banking through their Smart phones. The KCB general purpose has the advantage that one can exhaust all the funds in their credit card, unlike the I&M M-Pesa Pre-pay credit card one must leave KES 250 in the card. The KCB card also doesn’t have reloading fees unlike the I&M Safaricom M-Pesa Prepaid Debit Card which has a loading fee of KES 140. Each card has its advantage and disadvantage, it just depends on which advantage bests fits you. How can use a PrePaid Debit Card to shop online? When shopping online on sites that accept credit card or prepaid debit card, the payment section form will typically look like this. You will select the card type but some payment forms automatically detect whether it’s a Visa or MasterCard depending on the 16 digit numbers. The Security Code, also, referred as to CVV in some sites. Billing address, typically, refers to your postal address in Kenya. Once, you input this information and click on the “Pay” button, you will be able to conduct the purchase transaction successfully. It’s my hope that this post has given you some insights on how you can get started in your journey of becoming an online shopper by getting a prepaid debit card to help you make purchases online. You can use this prepaid debit card to open a PayPal account. Read how, here. Thank you for the address Admin,.